Welcome crafty friends! I hope you're enjoying hopping around and checking out all the great projects. It's amazing how different they are...just goes to show you that creativity is a wonderful thing! I wanted to try and do something a little different with the Deflecto acrylic frame we got and turn it into a desk organizer. 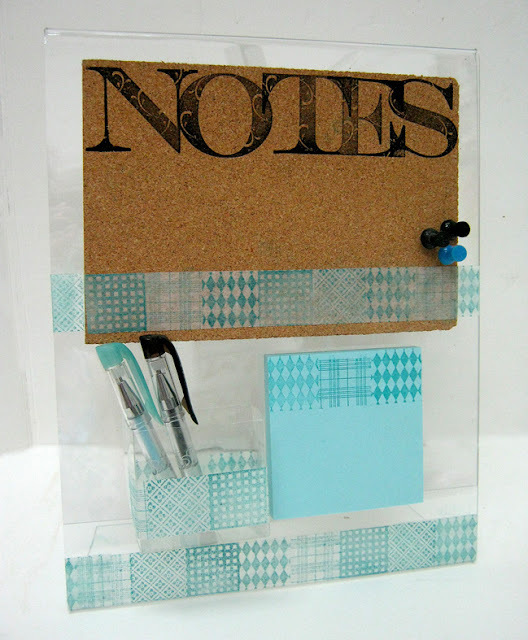 I started with a piece of cork and stamped it with Ann Butler Ez' De's Letter Stamps and a black permanent ink. Then I stamped a paper strip with an assortment of Ann Butler 1" Faux Quilting stamps and Ann Butler Crafter's Ink by Clearsnap. I used different stamps to create an interesting pattern. I repeated the process on a second strip of paper. I attached the cork to the front of the frame with double sided tape and then attached one strip of the paper. I attached the second strip on the bottom of the frame. I took an old plastic box and cut it in half. I attached another stamped strip of paper to it and attached it to the frame. Finally I stamped the same pattern on the top of a post it with a coordinating color and attached it to the frame next to plastic box. 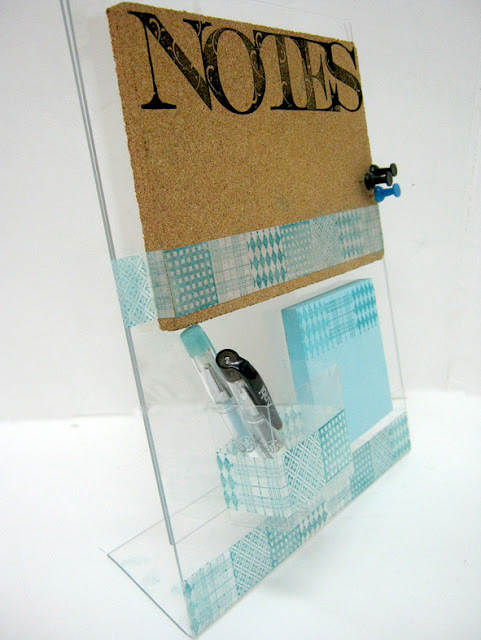 Now I have a little organizer on my desk for all my notes! 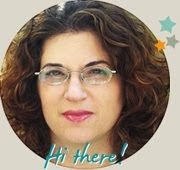 Einat Kessler: You are here! Thanks for stopping by! Please keep on hopping and check out all the other creations and show them lots of LOVE! This is gorgeous! Very clever use of the frame and I love your color choice! Love this organizer, Einat! Great idea! Great organizer Einat. Great way to use the frame. 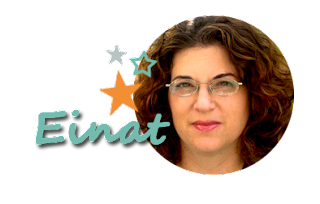 Einat, love this organizer! Love how you added the holder. Einat I love how you were able to showcase the stamps and make the frame functional...thanks for being part of the hop! This is brilliant. Would make great teacher's gifts. going to check Deflecto out! Einat I love it. I would have never thought to do this with a frame. I love how you stamped the top of the pad as well. Fabulous! Thank you for being a part of the hop.